Pool set-up will be as follows: All sessions running in the North Pool- turning off the bulkhead. 11& Over sessions will be running 8 lanes. The 10 lane South Pool will be open for warm-ups prior and during competition. 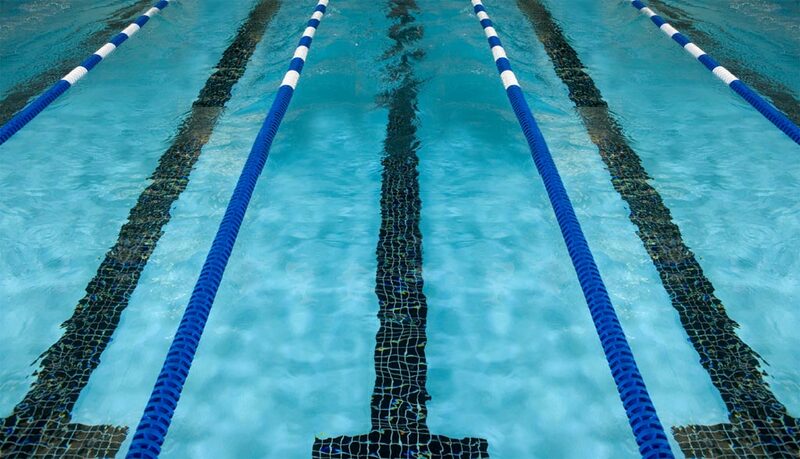 The Program Pool will remain open to Wellmark YMCA members only (no swimmers participating in the meet). Do you have a Veteran family member attending the meet? If you would like to do a shout out thank you on the scoreboard, please send a picture with name and branch of service. We would like to have a brief slideshow prior to the national anthem prior to each session. Please email the pic and info to the Meet Director with Veteran Salute in the subject line. 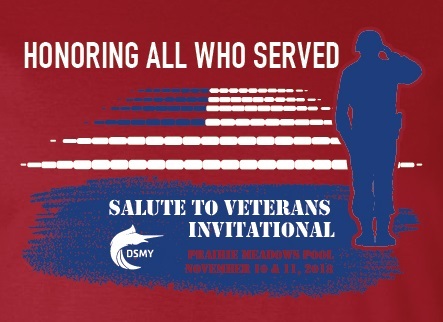 2018 DSMY Salute to Veterans t-shirts available for pre-order only. Elsmore Swim Shop will also be on site with swim apparel and equipment for sale. Visiting USA Swimming Officials - Click Here to sign up!